How are learning to ride a bike and learning to write great novels alike? Today’s post is an extended metaphor on my experiences with both. 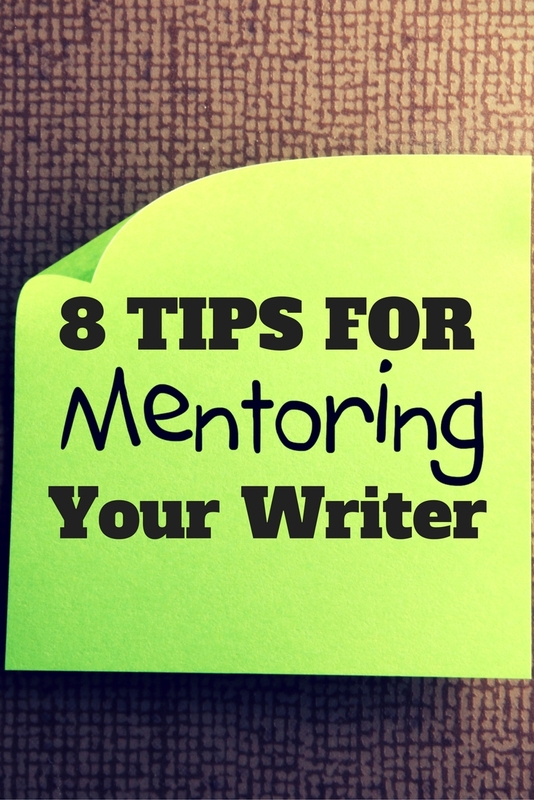 Writing Mentors: What’s the Minimum Your Writer Needs? Let me start with the end in sight. This photo shows me in the middle of a 25 mile ride this weekend. 25 Miles! It’s easy, now that I’ve worked up to it. There comes a time in an adult’s life when you realize that you’ve stopped doing many of the activities that you used to take for granted. So it was with bike riding. As newlyweds, we rode often. But kids and life got in the way, until I realized that I needed to get back in shape. I was running 10-12 miles/week, just casually running 3 miles three or four times/week. But I also wanted to ride bikes again. 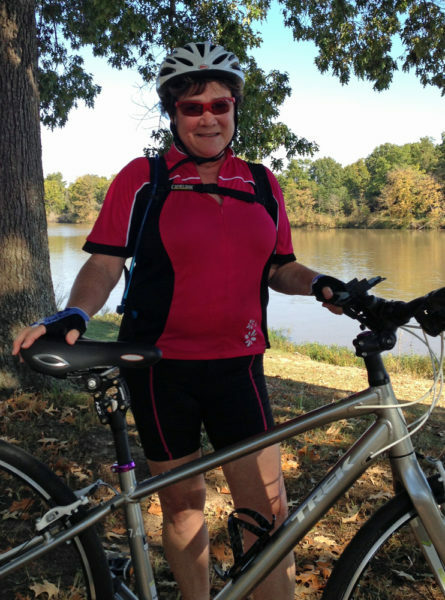 When I first started riding a bike again, my husband–Dwight, the expert–started by buying me a beginner’s bike. It was a step-through, upright, cushy-seat thing, but it was the only thing that made me feel comfortable. I could ride this bike for – 5 miles. It was an easy transition back into riding. Also, we figured out the minimum I needed to successfully ride. I need water. We bought a camel-back, a reservoir of water that you carry in a simple backpack. With water, I can go far; without water, I can’t. AT FIRST, your writer doesn’t need the fancy computer or software. They only need something comfortable enough to get started. Second, your job is to be a cheerleader. Period. Make writing possible in every way you can, and then, get out of the way. Let the writer write. At his/her own pace, with results that please them, not you. Just enjoy the thing that gives them joy. Figure out the minimum needed for the writer to succeed and then make sure s/he gets it. Do they need an hour a day of quiet time to write? Make it happen. So, if Dwight wasn’t allowed to say anything even slightly motivational – since I would invariably take it as criticism – what did he do to help me improve? We went biking consistently. Not every day or every week. But we consistently added that as an option for an activity. It was fun. We rode as far as I wanted/as I could and enjoyed the day. That’s it. No pressure, just fun. And then, we started biking with friends, another couple. They stretched us into riding farther and faster. Soon, we were riding 20 miles at a time. Wow! Give your writer the time and space to consistently write. Put your writer in contact with other writers who will help them improve. Send them to conference or retreats. Buy writing books for them to read. Pay for an online class. Do anything you can to help them network, make writing friends to share their trials and triumphs with, and to push them to go farther and faster. As I became a stronger, faster rider, I started comparing my friend’s bike and my old comfort bike. And then, she bought a new bike! Wow! It was time for me to upgrade. Not out of envy, but because I wanted to be even faster and stronger. I wanted to be a long distance bike rider. Here’s a crucial time for a writer, when the hobby becomes a profession. It might come when your writer first starts writing, or when s/he makes that first sale. The attitude change can come at various points, but be ready when it does. Be aggressive when it does happen. I bought a new bike. It was a long decision-making process. When we traveled, we rented bikes and rode a local trail, so I could compare various options. We looked and looked. Finally, I rode a rented version on a ten mile trail, and decided it was the best option I’d seen. I had a new bike that would help me go farther and faster. Except. . .
. . . buying the basic bike wasn’t enough. For long rides, it’s crucial that everything is comfortable. After a couple test rides, it was clear that it wasn’t comfortable enough for long distances. I hurt. Over several months, we tried many things: new bike shorts, chamois cream (YUK! The Worst! ), four different bike saddles, raised the handlebars 90 mm, and finally–the thing that really worked!–a stem for the saddle that had a shock absorber. We also put on a blue-tooth device to monitor speed. We tweaked aggressively. Comfort. Speed monitoring. I now ride 25-30 miles without a problem. Slowly, my speed is improving. And I’m still having fun. Recognize the moment when your writer needs to upgrade. This could be many things: upgrade computer, upgrade software (to Scrivener), change agents, or changing genres that you write. Aggressively tweak! Be aggressive in tweaking everything until the writer is writing strong and fast and the career is going where s/he wants it to go. For me, learning to ride a bike 25-30 miles comfortably has been a long process. It was only possible because my husband, Dwight, was kind, patient, attentive to my needs, and in the end, a companion on the way. That’s what we all need on this writing journey, a congenial companion. It may come from your spouse, parents, or a mentor. To whomever is filling that role, I offer them these simple guidelines and hope that your writing journey is full of joy. Take joy in your writer’s accomplishments. You helped make it happen. I’ll say it for them: Thanks! What a great post, Darcy! Very motivating – thanks! great post, Darcy! and congrats on getting back into riding. It was a long journey back into riding, but worth it. Just like the writing journey is worth it!